My last theme for the year just made it for this holiday season. 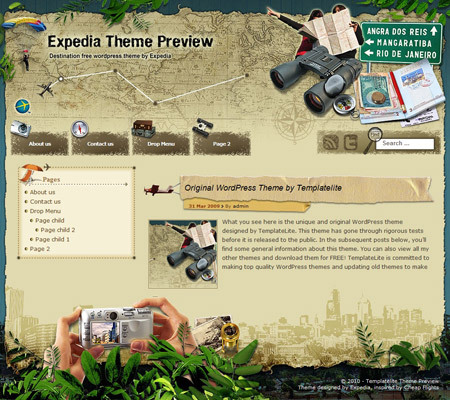 For travel bloggers who want to share their leisure experience, this Destination theme will be perfect for you! Important note: To avoid compatibility issues, please ensure you are using WP 3+ when you install the Destination theme. The Destination theme has a multi-level drop-down menu. There are two ways to create the drop-down menu. @Konstantin, it seems that you are using the Brochure Melbourne theme instead of the Destination theme. Anyway, please post your issue in the support forum and I’ll address it there. Don’t download this it has hidden scripts in it as I’m sure most of their templates do. @Frank, only the sponsored links are encrypted. Since I need the sponsors to keep creating free themes for you, the encryption is needed to protect my sponsors. Hope you understand. Really cool and original design. This theme is perfect for travel blogs. Great job! I have to say: you have the best travel themes around. I’ve started adding them to my site: http://www.wphelponline.com. 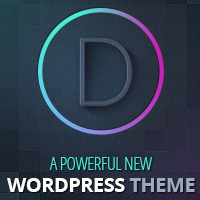 I hope in the future you will let me know when you publish new themes! Hi! If I download the free version of the template and then purchase de developers liscence, can I transfer my website to the developer template, or do I have to start over from scratch? You do not have to start from scratch. If you purchase the ad-free version, please upload template.php to replace the one in your server and you are all done.